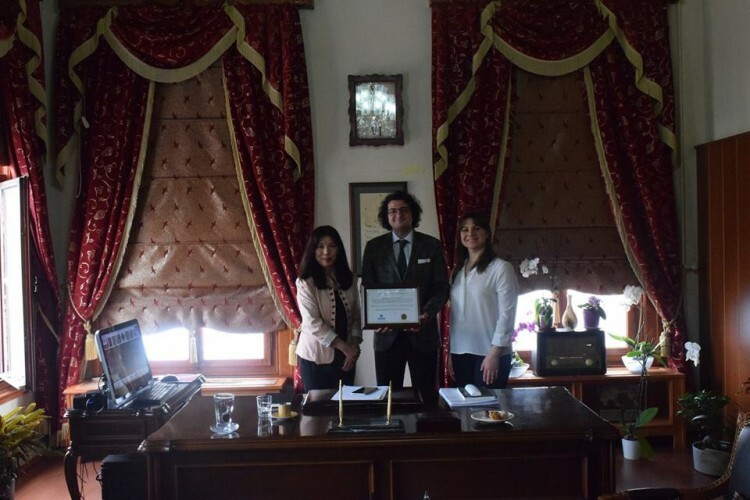 “Japan Promotion Day” was held with the cooperation between the Consulate General of Japan in Istanbul and Kabatas High School. 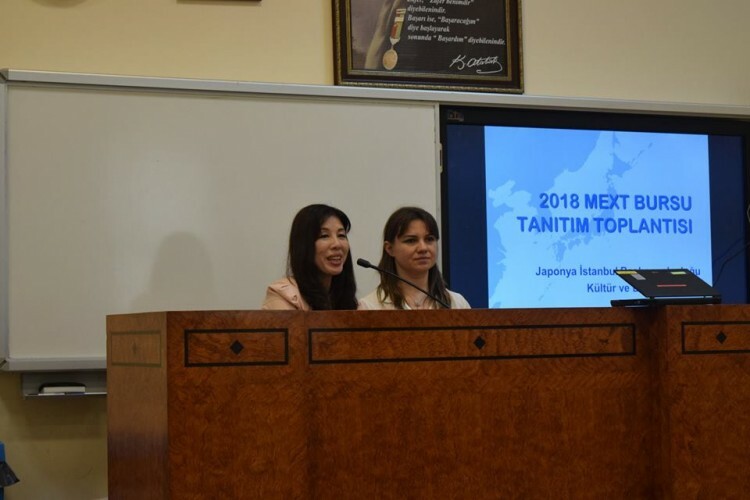 Chiharu Ozkaynak and Şaziye Çelik, the staff from the Consulate General of Japan in Istanbul, conducted a seminar to our students about the Japanese Goverment Scholarship for students. Japanese Promotion Dvd was also screened following the scholarship seminar. 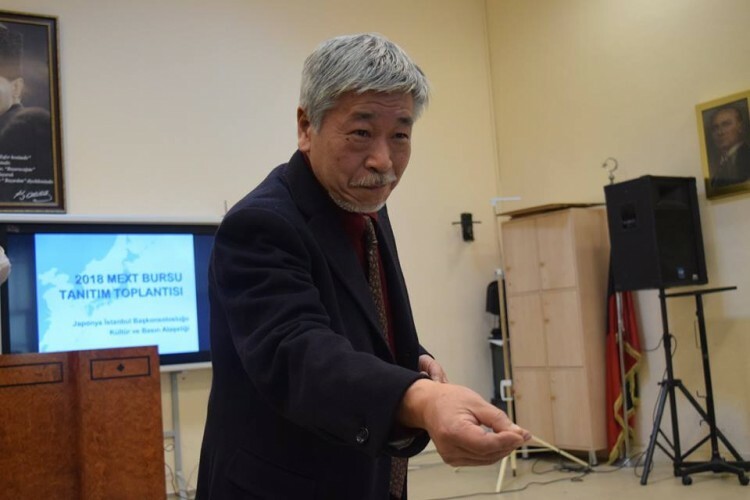 Kobayashi Yutaka, a prominent artist and writer, gave a speech about art and his books. 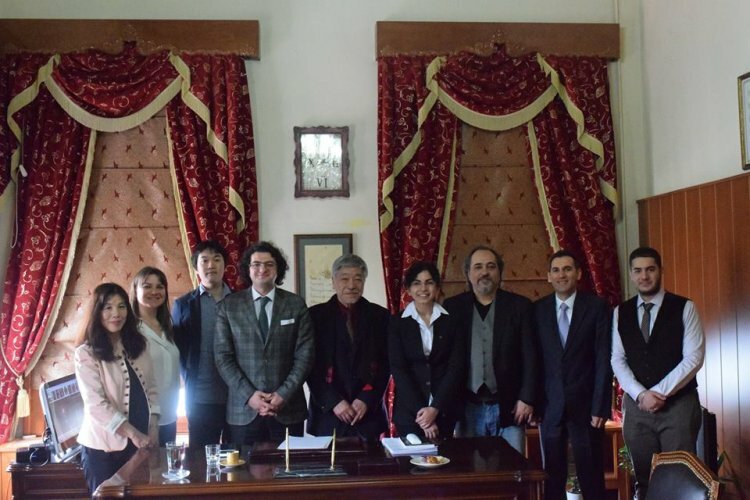 Dr. Erdal Küçükyalçın, the coordinator of Bosphorus University Asian Studies Center, accompanied Kobayashi Yutaka. 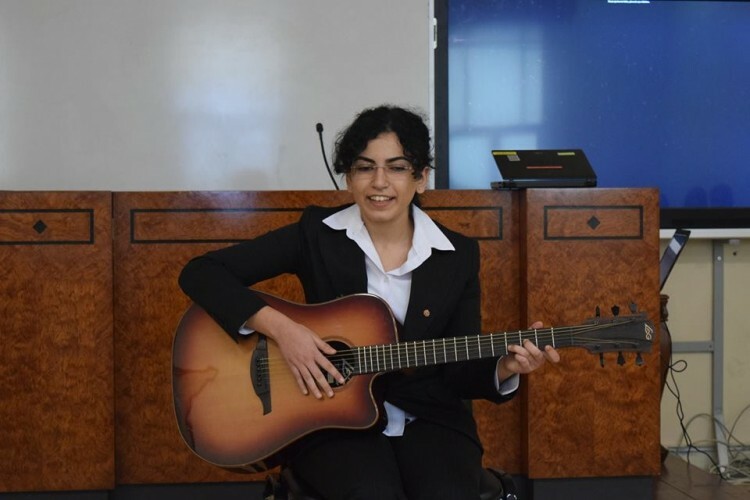 Two Japanese songs were sung by Deputy Secretary-General of Kabatas East Asia & World Project Ceylin Özgur Erzen. 2. Relations between Turkey and Japan started in the 19th century. While returning from a goodwill voyage from Japan in 1890, Ertugrul frigate encountered a typhoon off the coast of Wakayama Prefecture, subsequently drifted into a reef and sank. The maritime accident resulted in the loss of 533 sailors, including Rear Admiral Ali Osman Pasha. Only sixty-nine sailors and officers survived. The surviving sailors were taken back to Istanbul by two Japanese frigates. 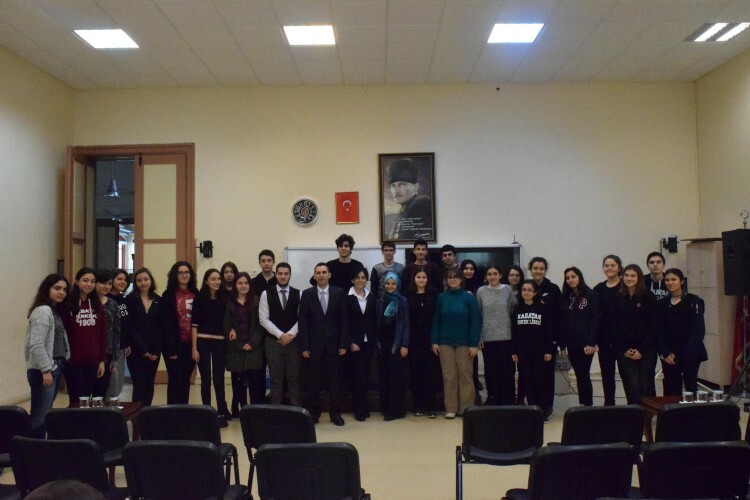 We aim to transmit the memories of Ertugrul frigate martyrs and veterans to our students. 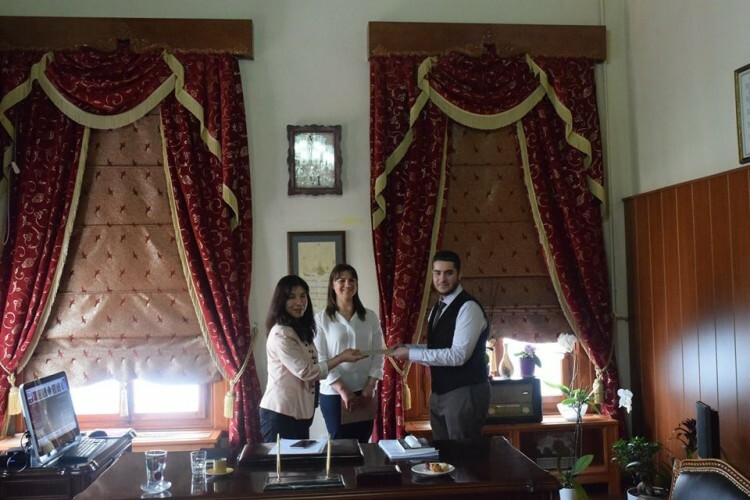 To fulfil the objective, seminars, conferences and programs will be organised. 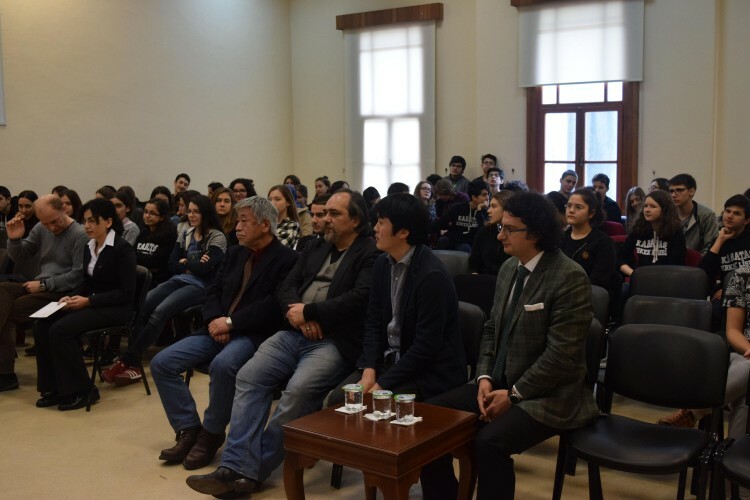 Each year a special ceremony to commemorate Turkish sailors who lost their lives in Japan will take place in Kabatas High School. 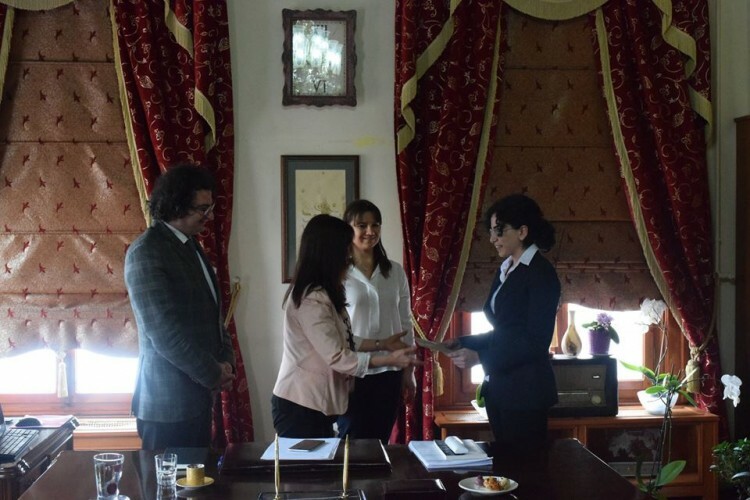 We aim to sign sister school agreements with high schools from Korea, Japan, China, Australia, Britain, Canada and the USA to develop friendship, promote mutual understanding and cultural awareness.